Better View Glass – Best Price. Best Service. Proudly serving: Mercer, Bland, Smyth County, and Wythe County. We work hard to provide excellent service at affordable prices. 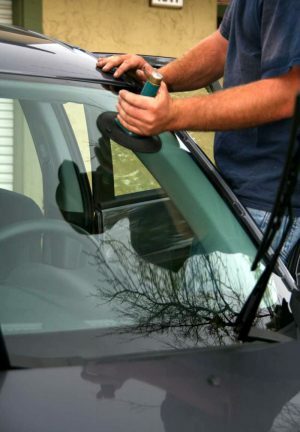 In fact, we can often replace your windshield for less than your insurance deductible! We come to you! Skip the hassle of driving to a shop and waiting for hours. We’ll do the job at your home or workplace! When you trust Better View Glass with your auto glass repair or replacement, you’re trusting someone with nearly three decades of experience. We’re locally owned and operated, but use the same, quality tools and techniques as the national brands. It’s the best of both worlds! Many people think that filing a claim and paying their insurance deductible is the cheapest way to get a windshield replacement. This isn’t always true. In most cases, if you have an insurance deductibles of $250 or more, we can do the job for less and save you from the hassle (and increased premiums) that often comes with filing a claim. Give us a call and find out for yourself! Better View Glass (formerly Smyth County Glass of Marion, VA) is owned and operated by Ben Tickle. Ben has been installing auto glass for over 25 years – most of that as the owner of Better View Glass. He was born and raised in Virginia and now lives just across the border in Princeton, WV. Mercer, Bland, Smyth County, and Wythe County.